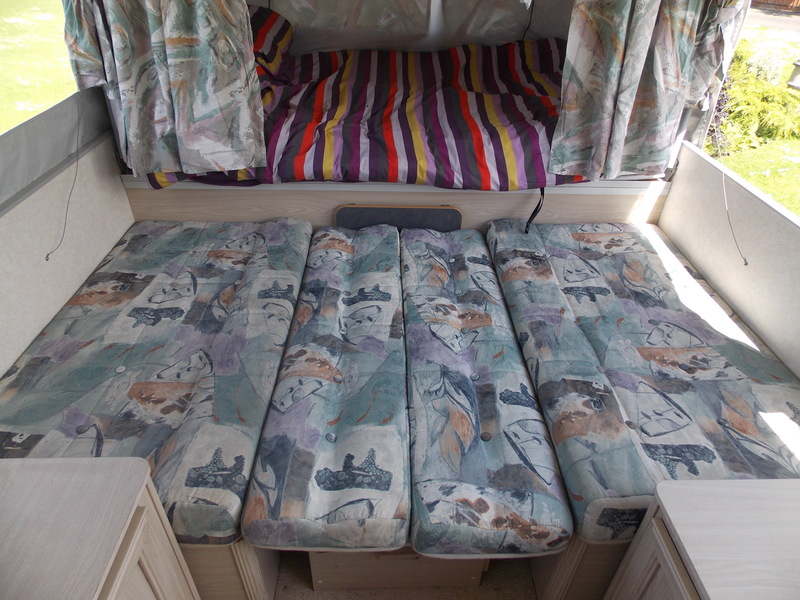 Pennine Sterling / Sterling SE (NB: All Procedures Below Will Also Apply to the Pennine Pullman). 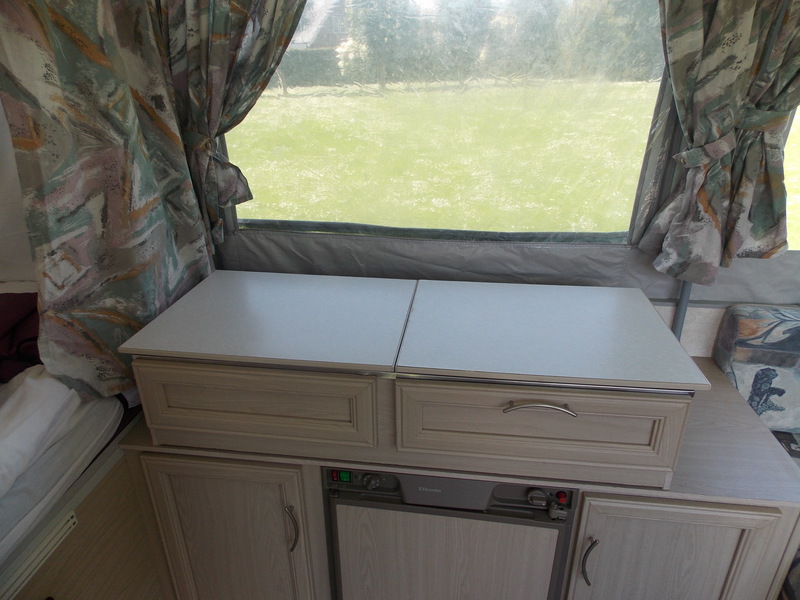 It's not always easy to accurately detail the differences between the standard Sterling and the SE (Special Equipment) as some items were optional on both, however, in simple terms, they were the same basic model, however, the SE had the addition of a wardrobe and a slot in shelf unit in the kitchen. 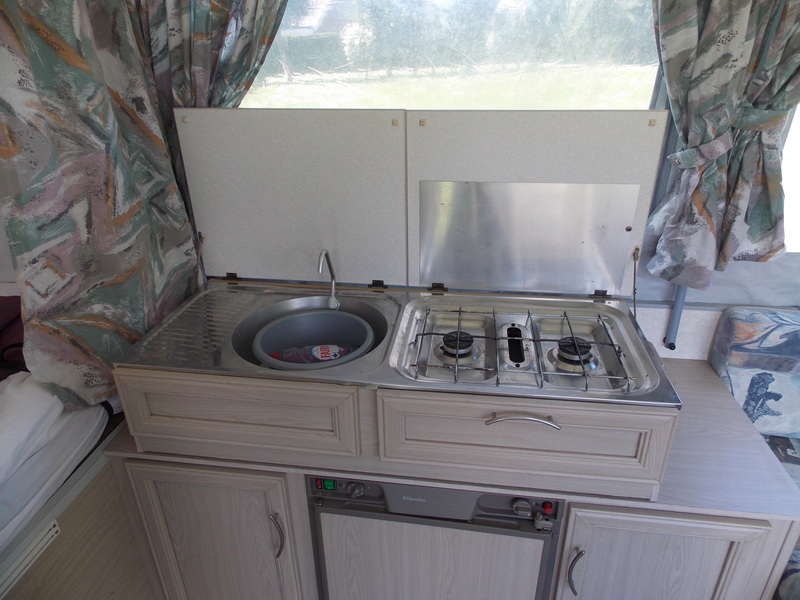 It also had a 3 way fridge as standard, although, to be fair, most basic Sterlings also left the factory with one as well, even though, theoretically, it was an extra. 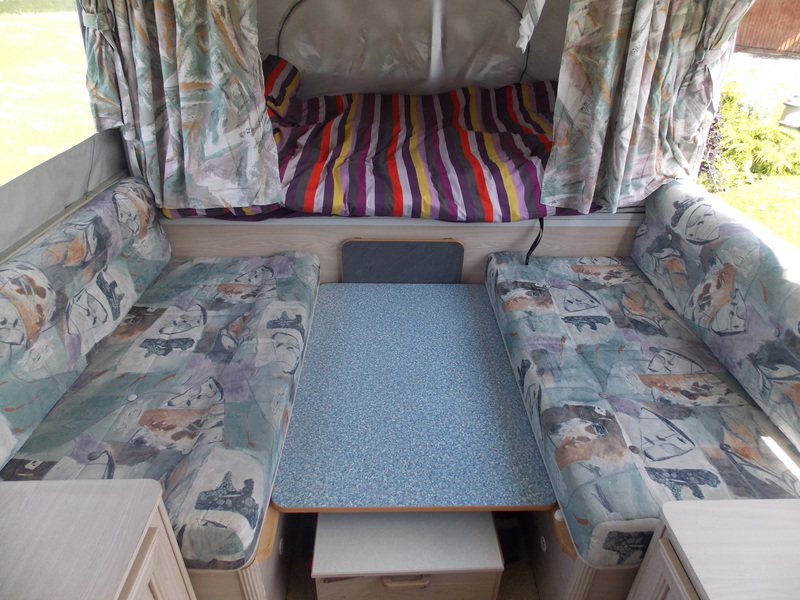 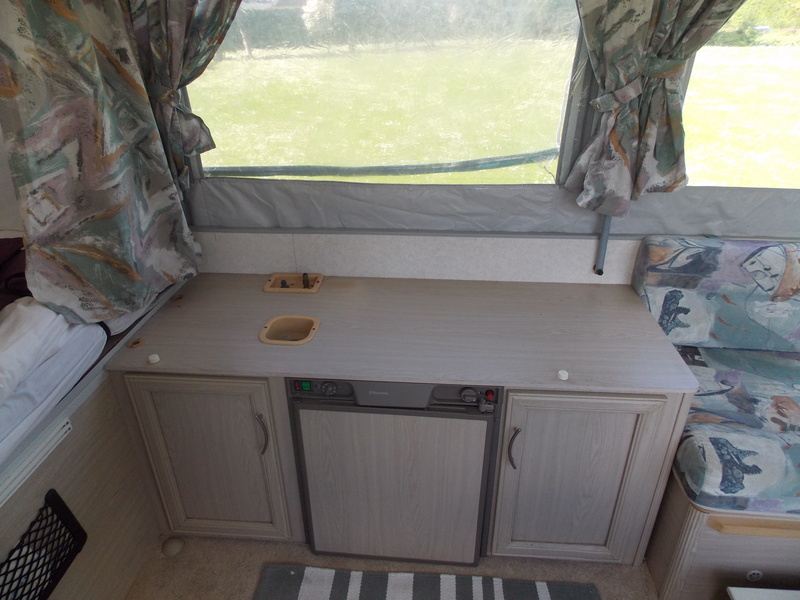 Unlike the smaller Aztec and Fiesta, the beds in the Sterling open front to back, rather than on the sides, thereby allowing for a full 6 berth layout, as opposed to the 4 of it's smaller siblings. 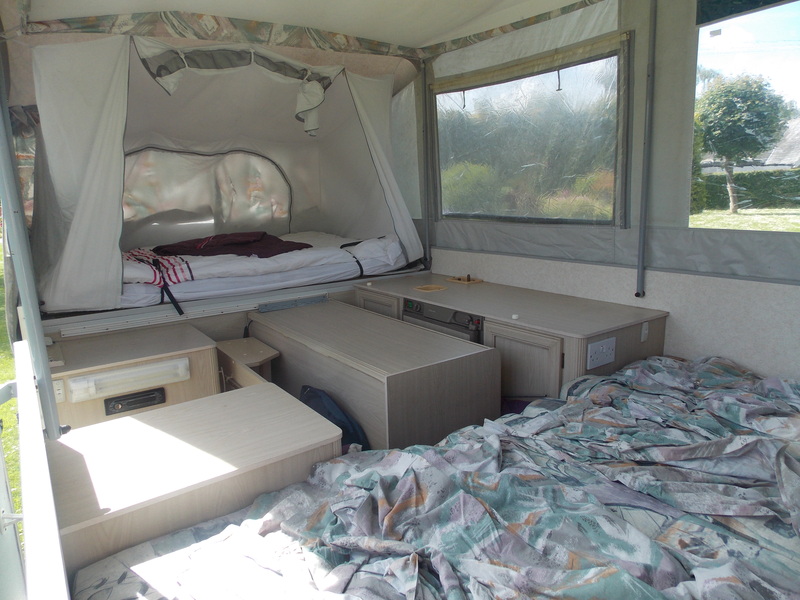 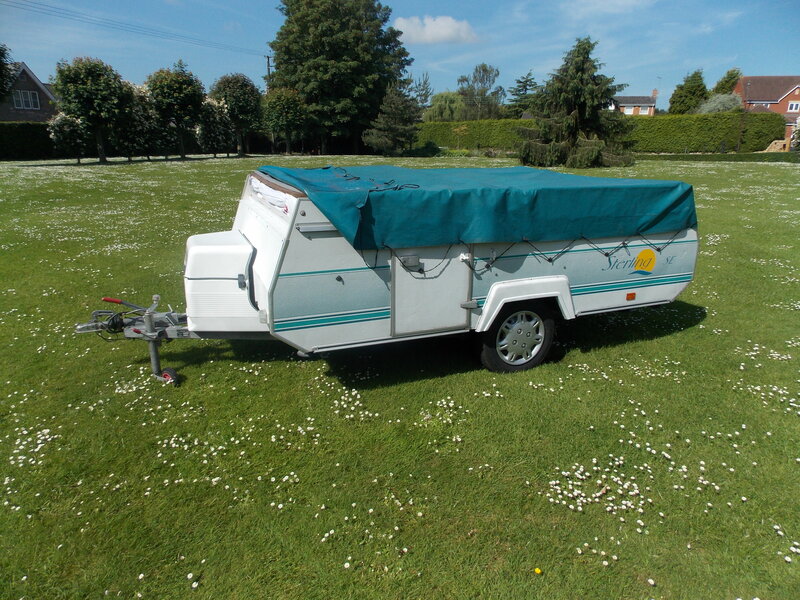 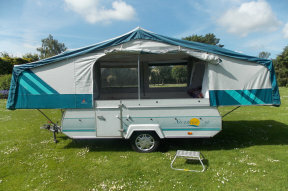 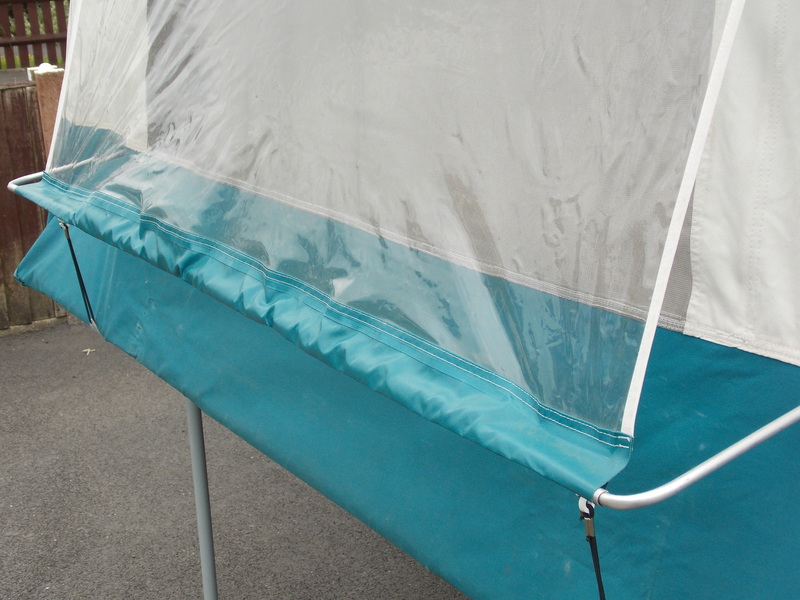 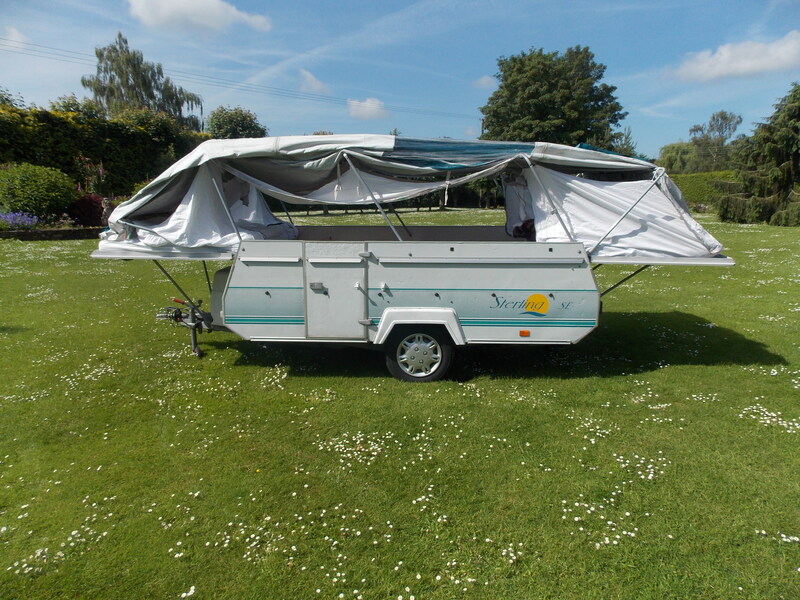 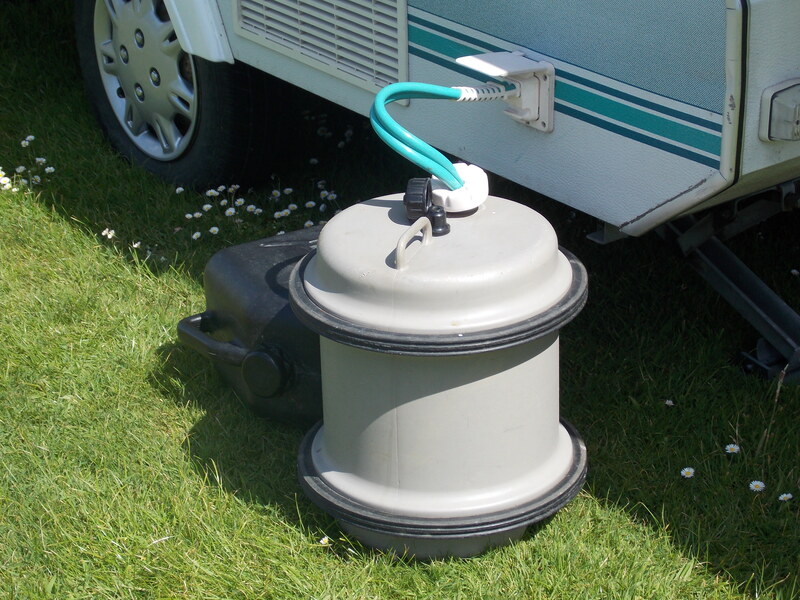 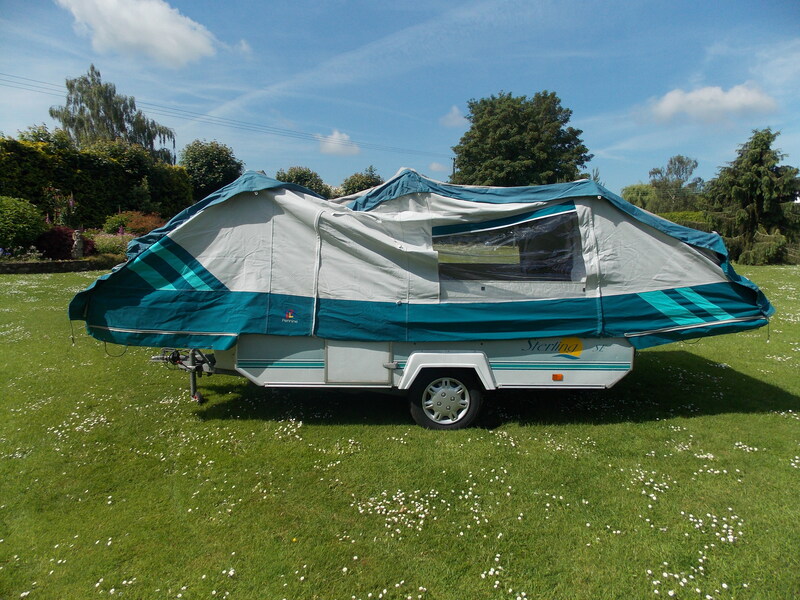 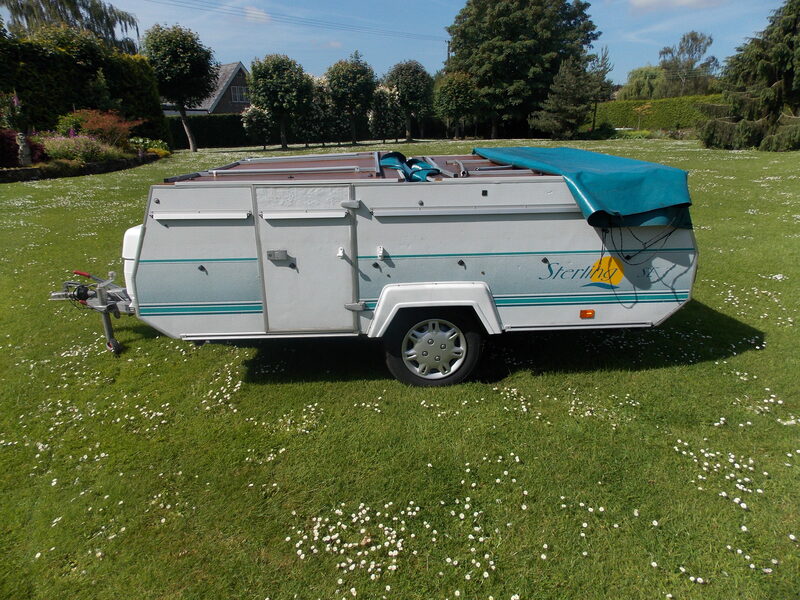 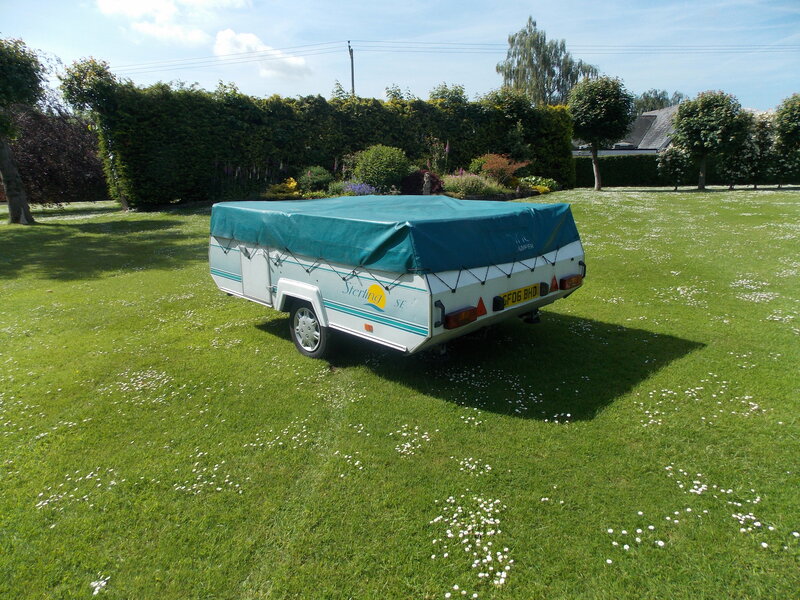 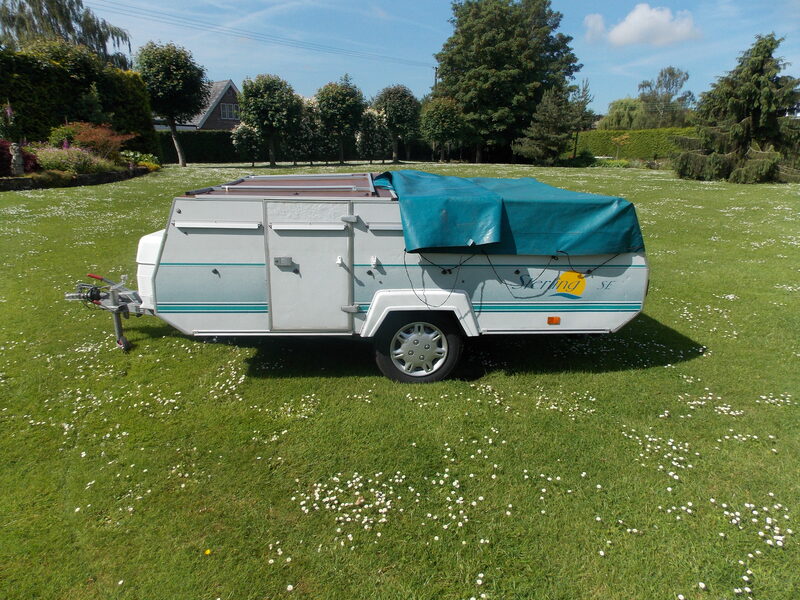 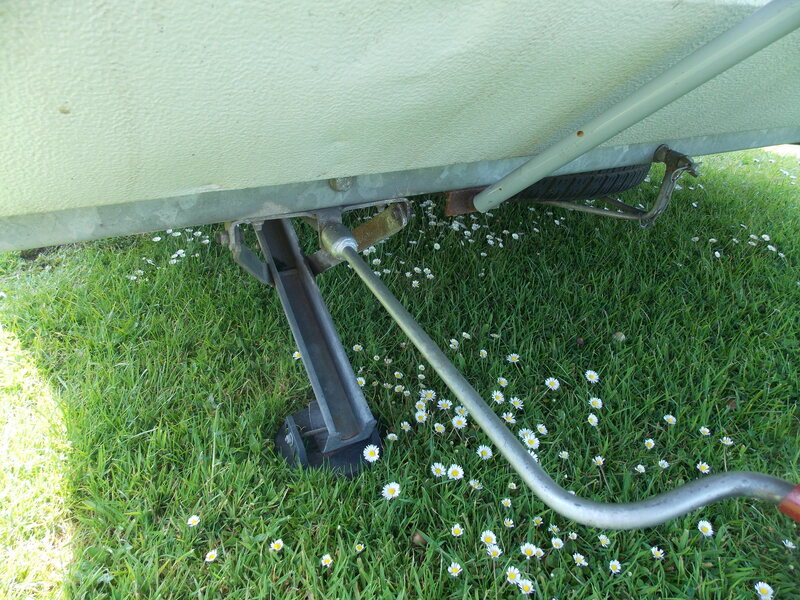 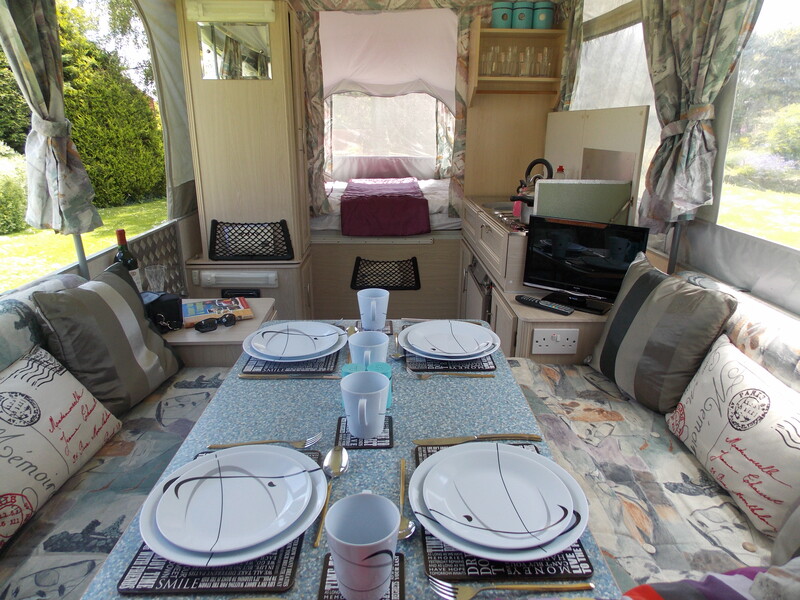 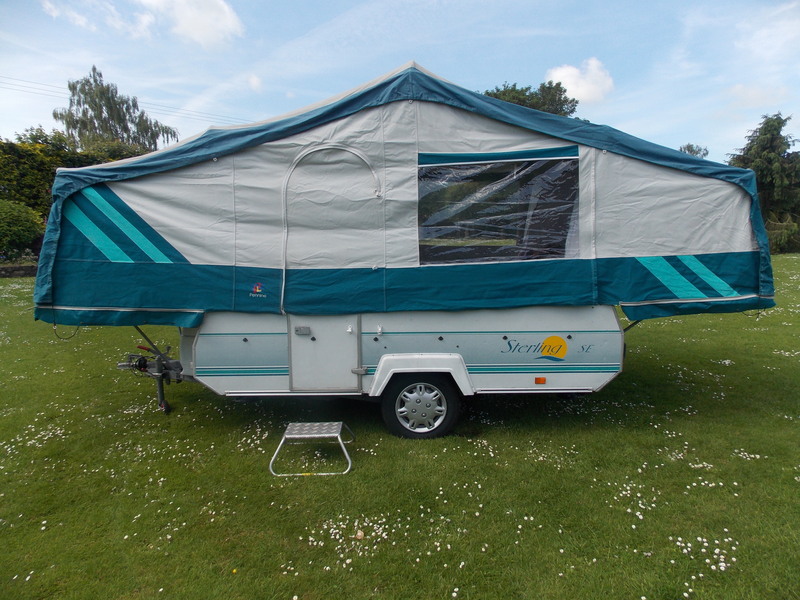 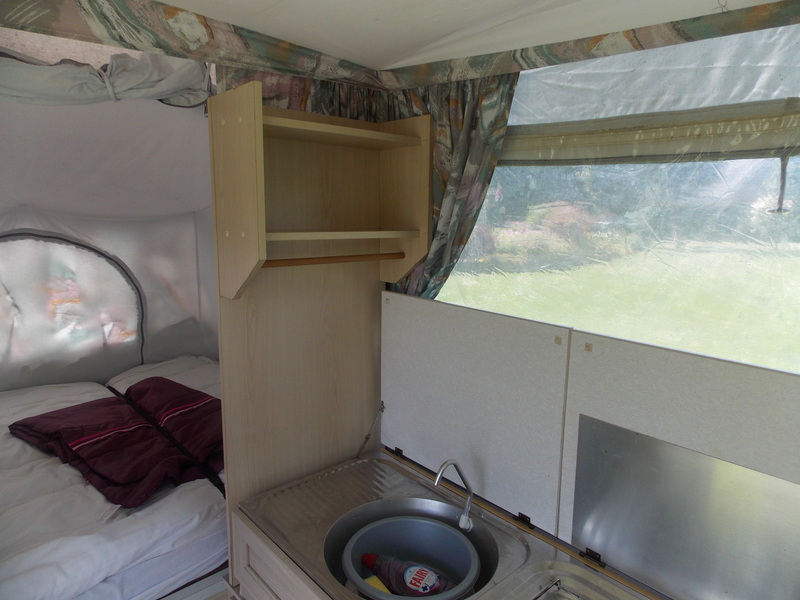 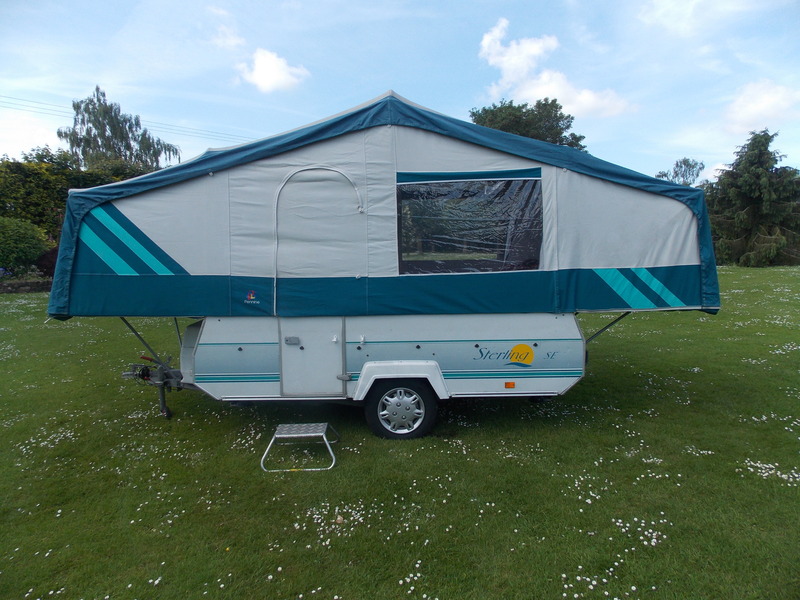 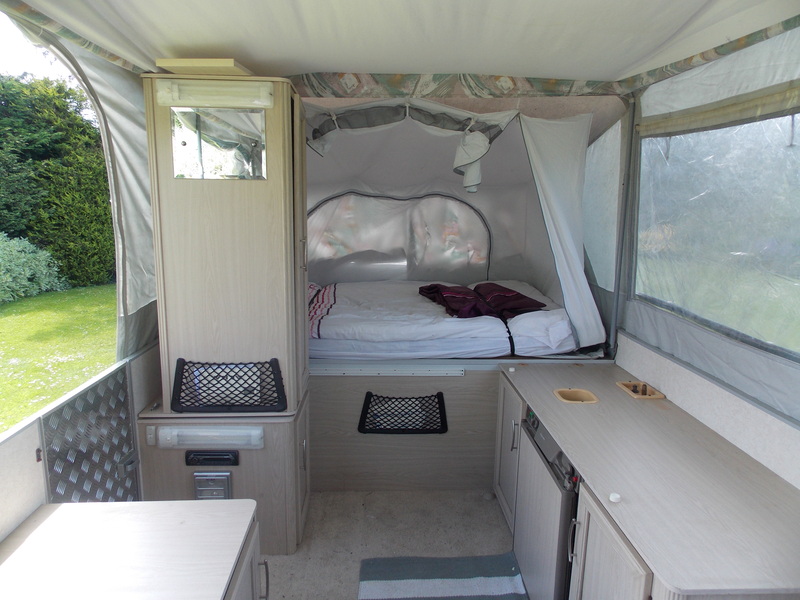 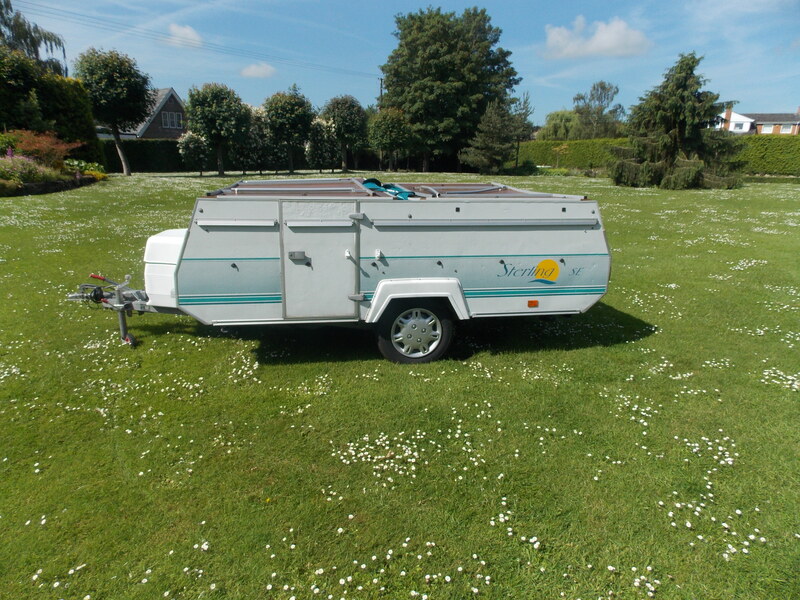 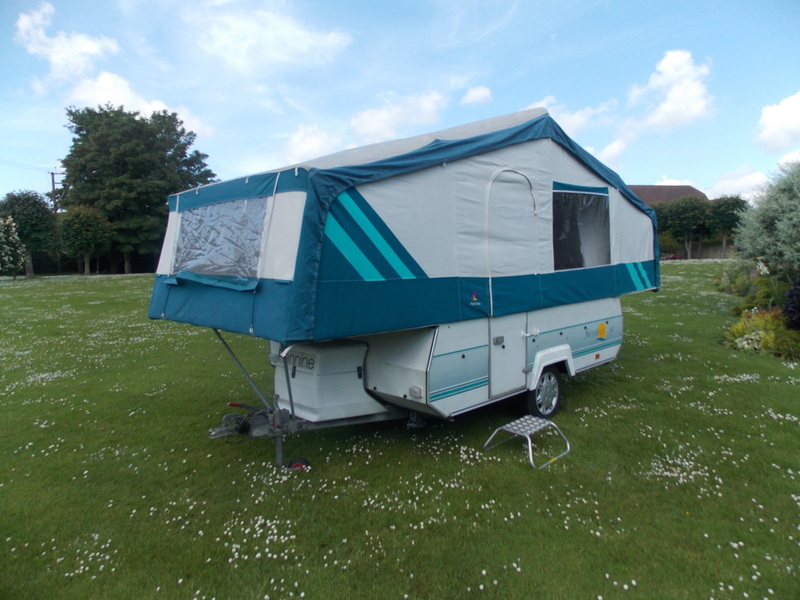 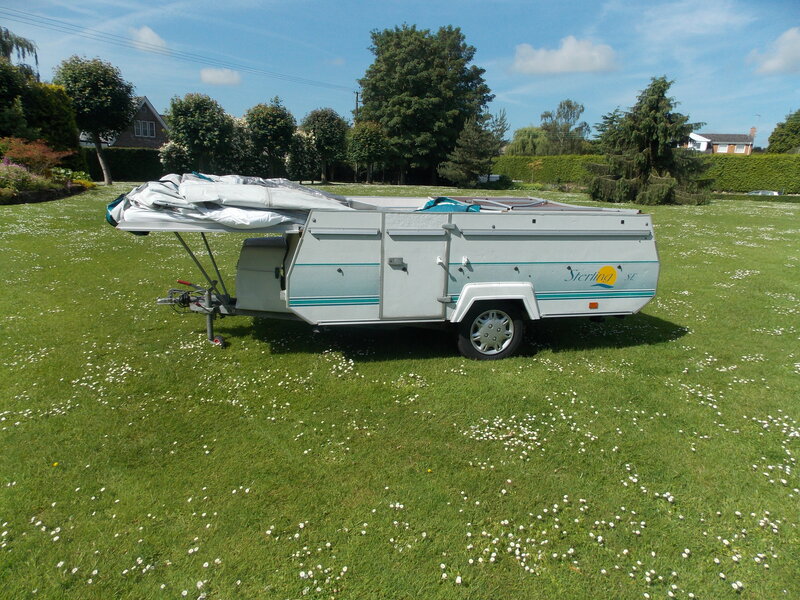 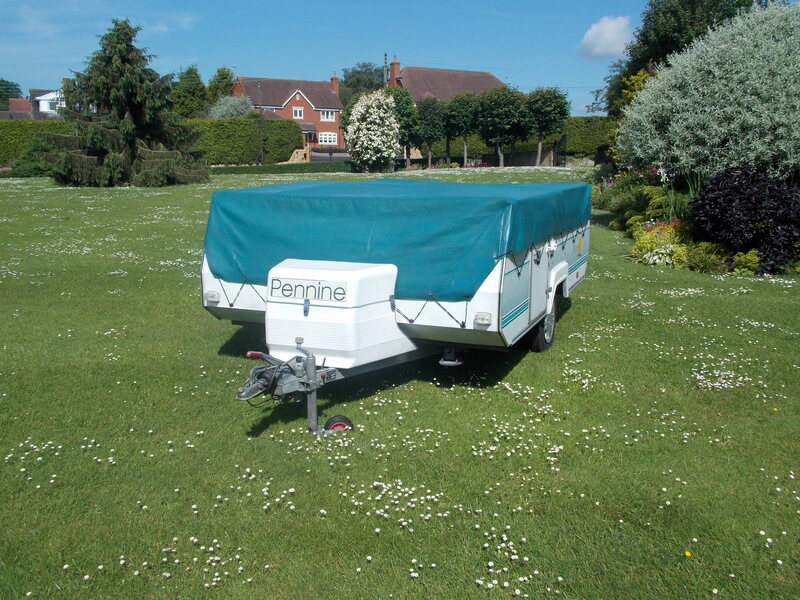 As with all models, though, the addition of the optional matching awning served to double the accomodation for those longer trips away. 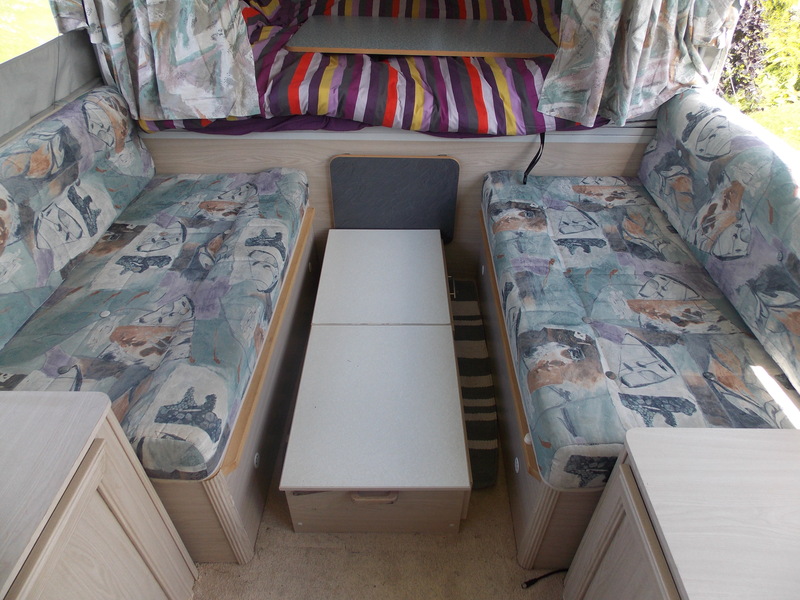 The Sterling offered true 6 berth potential, with 4 of those berths being permanently made up (both on site, and in transit) so a perfect layout for 4 people, but suitable for 6, at a push. 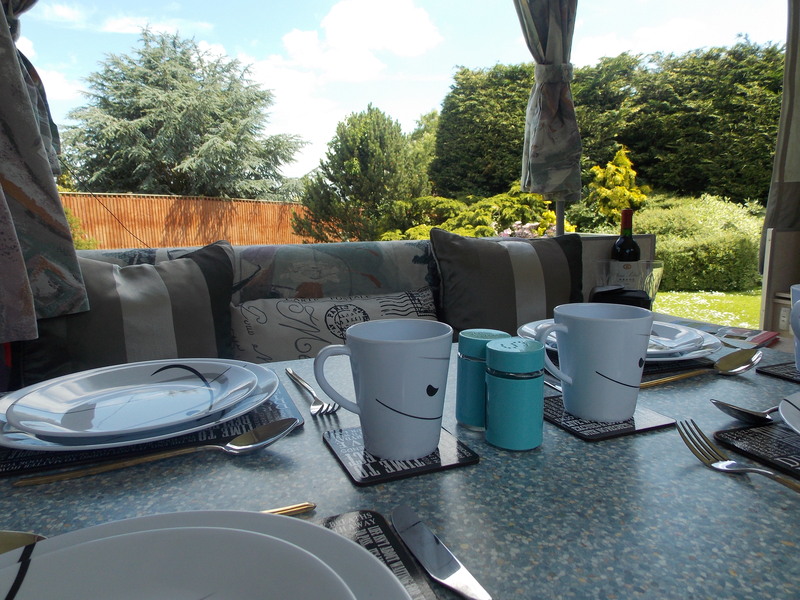 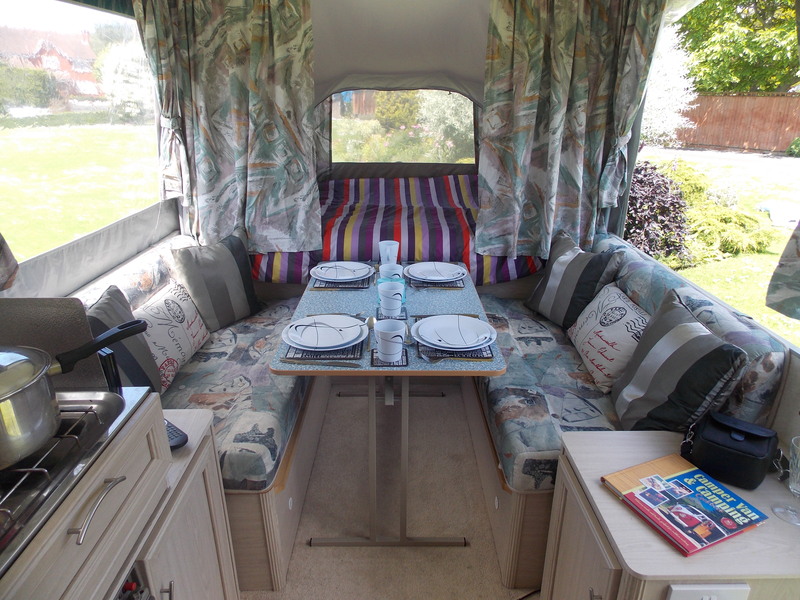 Another plus over the Aztec and Fiesta is the ability to completely open up the near side panel, either to give a true outdoor feel, as in the picture here, or to open up the living area into the awning.